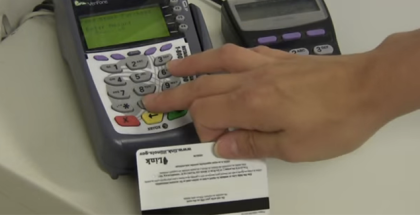 Information is entered into an EBT payment processor after the card is swiped. On the USDA website, a search tool allows users to search for locations that accept payments via electronic benefits transfer (EBT)–more colloquially known as food stamps. Type in any area in the U.S. — whether Salem, Fargo, or New York City–and you’re likely to find at least ten drugstores, supermarkets, delis, or convenience stores nearby that accept payment through EBT. One type of food resource, however, is largely missing from the results: farmers’ markets. 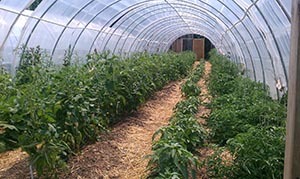 Caption: The hooped Real Food Farm in Baltimore, Maryland. 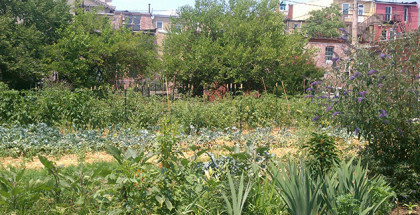 Urban farmers in the city of Baltimore will soon qualify for a 90 percent property tax break under a bill recently approved by Mayor Stephanie Rawlings-Blake. The move, which is the latest in a series of tax-break initiatives for city growers seen in areas like San Francisco and Washington, D.C., is intended to bolster local production of healthy food. 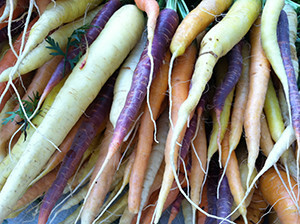 Locally-grown carrots from a farmers’ market in Portland, Maine. If there’s one unifying theme in the city of Portland, Maine, it’s food. The city has one of the highest restaurant-per-capita rates in the United States. Situated on the Atlantic Coast, it harbors an intimate familiarity with edible seaweed, fish, and crustaceans. 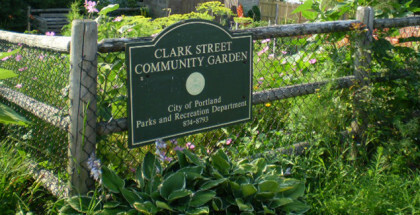 And, perhaps most important, it’s home to a growing local food movement, involving everyone from co-op founders to City Hall.